Home > crochet > All I Want For Christmas Is… Yarn. All I Want For Christmas Is… Yarn. Ok, that’s a lie – I also want other crafty things. But in general, I’m hoping Santa takes the hint this year and delivers a load of crafty goodness on Christmas day. As it’s November now, I think I’m allowed to write my Christmas list! Here are a few of the items I’m currently obsessing over. I’m cheating here because I already know that Mr Elsie Pop has bought me this – and it’s taunting me! This little beauty is full of miniature balls of sock yarn! I admired last year’s Opal advent calendar (obviously, it’s full of yarn! ), but it’s only now I’ve discovered sock knitting that this little beauty has become a must-have. Adding this daily yarn injection into your December will cost you £55, and you can buy it from Love Knitting. I’ve been stalking Woolly Mahoosive on Instagram for quite a while now, and my obsession has escalated lately. Their Mammoth yarn needs to come and live with me – it’s a mega chunky yarn for arm knitting or knitting on 40mm needles (!) and it’s totally gorgeous. Look how fluffy and gorgeous it is! Mammoth is a 100% acrylic yarn, so it’s much more affordable than a lot of giant yarns, which tend to be made out of expensive roving. A 4kg ball of Mammoth is £55.50 and is enough to make one blanket. Woolly Mahoosive are careful to ensure that each ball has no joins in it, so every inch of the yarn can be used for a mega blanket. Woolly Mahoosive sell on Etsy. When I’m feeling a bit down, I often head over to Etsy and browse the yarns in the Wollelfe shop. I don’t know which colour I want, or what I’m going to make with it when I get it, but I know I need some Wollelfe yarn in my life. How could I not be obsessed with this yarn? Look at it!! The subtle gradients are my favourites I think – but ultimately I don’t think I’d turn down any Wollelfe yarn at all. I love the subtle gradient here – I think it would make an incredible shawl. Wollelfe yarns come in a variety of fibres and weights, but they do all have one thing in common – they’re gorgeous! Look how amazing it is! I just… need it in my life! As well as being pretty much the coolest thing ever, this is such a lovely set – Louise has thought of everything, including yarn, stuffing, a backing board, eyes and even the right size needles in the kit. This totally amazing set is available on Etsy for the bargainous price of £36. As far as I’m concerned its a must-have. As I mentioned on my post about sock knitting, I realised that my usual locking stitch markers used for crochet aren’t suitable for knitting with 4ply yarns. I’ve been looking around for my ideal stitch markers and I have some candidates. KoPoUk came to my attention this week and I’m loving their selection of stitch markers. I think these are my favourites – I love the green and red colours, they’re just perfect for Christmas. As soon as I saw these sock knitting stitch markers from Yarnistry, I knew they weren’t optional! Being reminded what I need to do as soon as I get to my marker feels like it’s going to change my whole world. Yarnistry also sell needle size reminder stitch markers – how have I survived without these? I love Craftsy classes. I learnt Tunisian Crochet from a Craftsy class a year or two ago, and now I’m improving my knitting and learning to quilt I have a few other classes I want to do in the new year. This Machine Knitting class is a must – I have managed to make about 2 samples with my knitting machine since I bought it – I need to get it working for me soon! 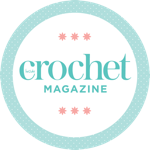 I need to get to grips with my knitting machine soon – this class will be perfect! Others on my list include this Top Down Icelandic Sweater class – I love the idea of a top down garment and this cardigan just looks ideal. I’m loving this top down cardigan! Craftsy classes are great – once you sign up, you have unlimited access to that class. The ones I’ve tried have all been fantastic, with really thorough and clear tuition. They’re such a great way to learn a new technique. I received a print out of this pattern in my goody bag from the Great London Yarn Crawl in September. I think everyone on my team was instantly in love with this pattern, and it’s easy to see why. How could anyone not be obsessed with this shawl? I normally would’ve shied away from getting a knitting kit, but I have renewed confidence in my knitting abilities lately, so I feel like I could actually tackle this beautiful shawl. I always need a “me” project after making my Christmas presents, so I’m thinking this might be it? I love the clever use of one gradient and one solid yarn to pick out the criss-cross detail. The Lambton Panes shawl kit is available in a selection of colours from Third Vault Yarns on Etsy. I think that’s the extent of my Christmas list this year – I feel like I’ve been very restrained! Do you have any crafty items on your Christmas list? This post contains affiliate links to some products which I am genuinely excited about and do want to own. Buying through these links won’t cost you any more money but will make a small contribution to the running of Elsie Pop.